An underestimated crop proves to be profitable for villagers in Gui'an New area. 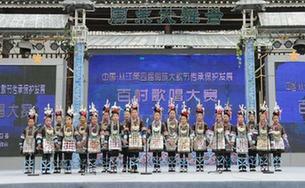 Some 1,300 singers from the Dong ethnic group beautifully harmonize during their performance of the Grand Song at a competition held in Xiaohuang village. 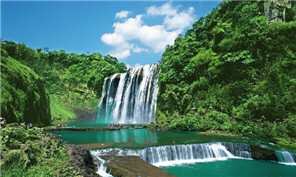 Guizhou province reminds tourists that travelling is not preserved only for summer. Guizhou Huaxintong Semiconductor Technology Co has signed a strategic partnership with Guizhou-Cloud Big Data Industry Co to jointly develop a cloud platform based on homegrown chips. The move is part of the local government's efforts to beef up its presence in information technology. Last year, after he completed a bachelor's degree in computer science in the Inner Mongolia autonomous region in the north of China, 22-year-old Song Jian made a decision that sent him in a different direction to his classmates. He headed south and landed a job in Chengdu, capital of Sichuan province. The tourism industry strengthened local economy by stacking up more than 15 million yuan ($2.26 million) in revenue in the first 10 months of this year in Gui'an New Area. Guizhou-ASEAN Industrial Park opened to the public in Liupanshui city, Guizhou province, on Dec 4. The Eighth Conference of Zunyi Tourism Industry Development was held in Daozhen Gelao and Miao autonomous county in Zunyi city, Guizhou province on Nov 19.